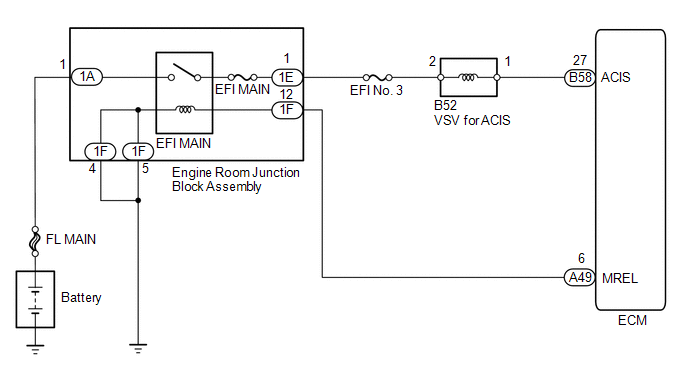 This circuit opens and closes the Intake Air Control Valve (IACV) in response to the engine load in order to increase the intake efficiency (ACIS: Acoustic Control Induction System). 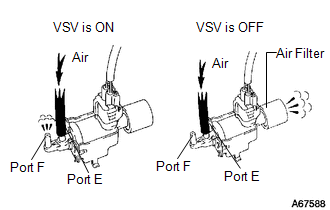 (a) Disconnect the vacuum hose from port F on the vacuum switching valve (for ACIS). (d) Enter the following menus: Powertrain / Engine / Active Test / Active the VSV for Intake Control. (e) Operate the VSV for ACIS. (f) Check the VSV air flow when switching the VSV on and off. (a) Check the vacuum hoses (See page ). (a) Inspect the intake air control valve (See page ). 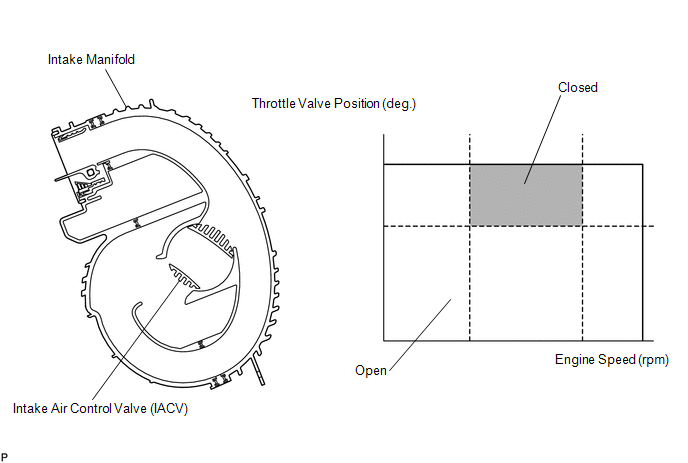 (a) Inspect the vacuum switching valve (See page ). (a) Disconnect the VSV for ACIS connector.